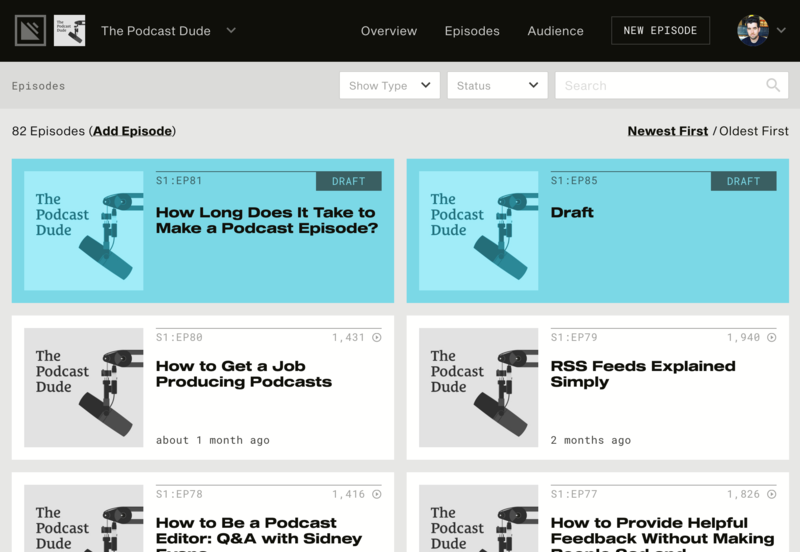 From your dashboard, click the New Episode button in the top right side of your screen. Enter in whatever information you'd like (you don't have to enter anything, but I'd recommend double checking the episode number and entering a title for the episode). Your episode is now saved as a draft, and will not be live until you finish adding the required information and publish it or schedule it for publishing.